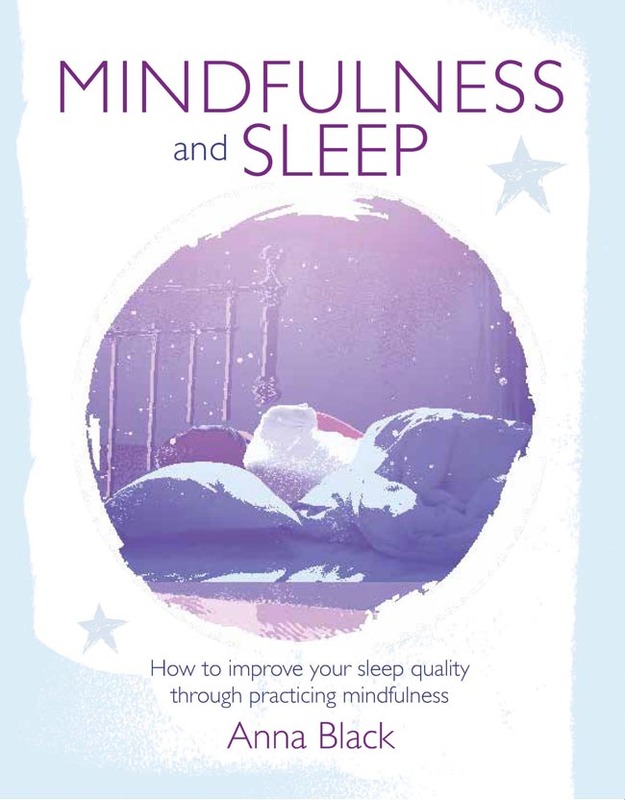 This series of accessible introductions to mindfulness is published by Cico Books and illustrated by Amy Louise Evans and Clare Nicolas (Mindfulness and Sleep). All of them are available internationally including the USA and Australia.
" I would like to refer people to it [Living in the Moment] as it has great appeal. 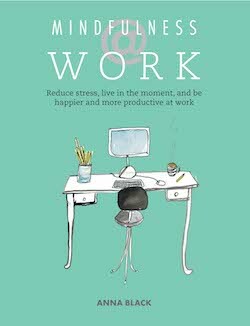 I think it holds the mindfulness message in a most accessible and understandable way for people struggling with applying the principles. Particularly when diagnosed with a life threatening illness." Prue Fairlie, Palliative Counsellor and mindfulness teacher. 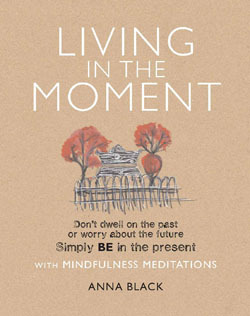 Living in the Moment was published in 2012 and has sold over 25,000 copies around the world. 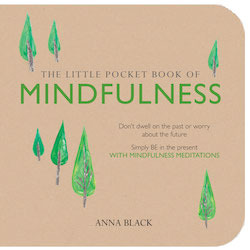 Living in the Moment is also available in a small gift book format as The Little Pocket Book of Mindfulness, which has the same content with some new illustrations. Both books contain over 50 suggestions for weaving mindfulness into your daily life. "Everybody needs Anna Black in their lives." 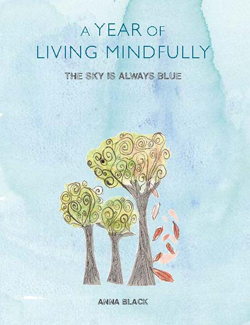 A Year of Living Mindfully was published in 2015 and offers week-by-week suggestions to integrate mindfulness into your life. These included meditations as well as activities and informal practices. There is space for reflection too. I'm always looking for ways to help people support their practice therefore I'm delighted with this new book/card product that I've put together with Cico Books. It is often challenging to weave mindfulness into our day as we get caught up in the busyness of life. It can feel overwhelming sometimes to know what to do and how to start doing something different and having to decide stops us doing anything at all. 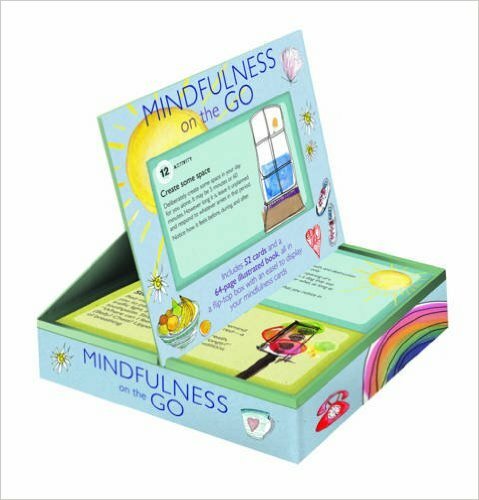 "I am loving the Mindfulness On the Go cards and think that they are really great. I put them on my Christmas list and was so impressed with them. The whole presentation box is such a lovely idea and you can see that a lot of thought and work went into the creation of the activities on the cards. I have only got to number 10 because I'm enjoying them so much I sometimes don't want to move on!"